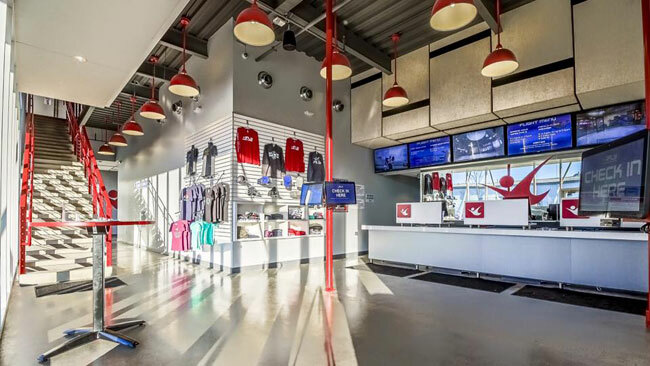 As of November 10th, 2015 iFLY Portland is now open for business. 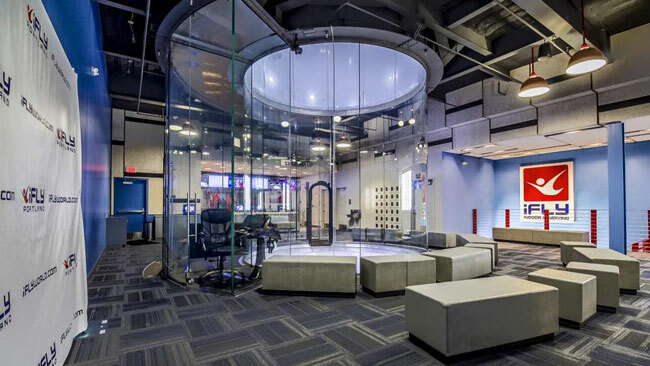 iFLY Portland joins iFLY Seattle as the 2nd wind tunnel in the Northwest United States. This location is a 14 ft recirculating wind tunnel similar to the model's found in Austin, Dallas, Houston (Memorial) and Chicago (Naperville and Rosemont). 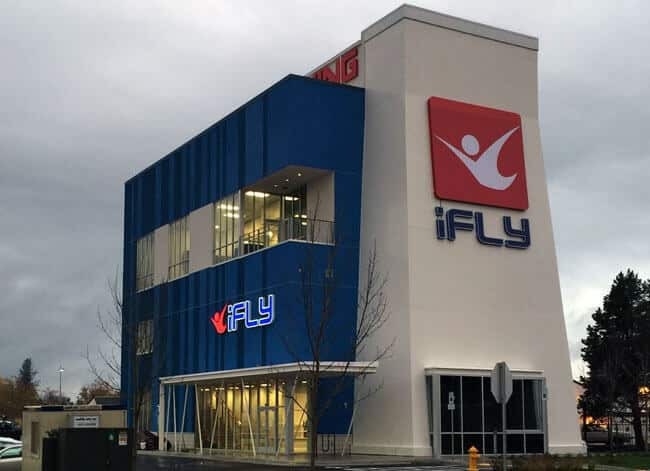 iFLY Portland opened its doors in November 2015. Average rating of 4.8 from 14 review(s). My son Max was terrified when he first got there. After meeting with his instructor Cole.R he was somewhat at ease. Max was exited after his first flight he says, and after the second he was looking forward to the next time that he could fly. Because of this we have purchased a return flight for our son and granddaughters. Thank you ifly & Cole for an an amazing experience! 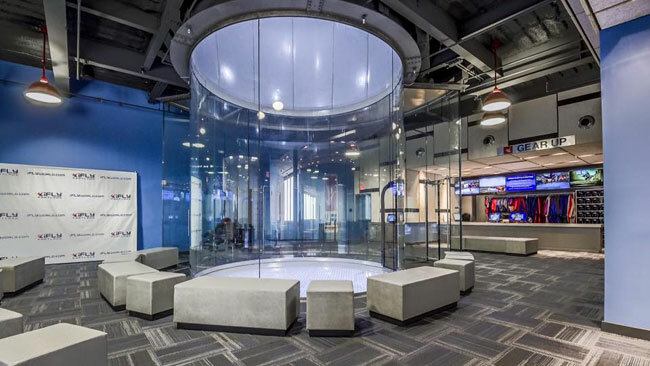 We hope to have Cole as an instructor to our next ifly experience! James was helpful in improving my skills. Everyone has a great attitude. Peter and the staff was GREAT. So, so fun! Great Stunt guys! We have flown in Seattle and in Portland. Portland is more fun! Great stunt experts... Love it! The flight was fun and challenging and the staff were all knowledgeable and professional. Very eager to answer any questions and made the flight addicting. So fun ! Great staff and lots of fun. I want to do it again! He was nothing but another party guest at what was to be his own special bday party.. You decide. Nickname: Flyer, Flyer, Pants on Fire! My family's first flight! Sunday 3/12/2017. It was fun as hell!! Chad was a great instructor and funny! We felt very well trained and entertained!! Likely, we'll do it again!! Fabulous time with the Grandaughter and Nephew. This place is awesome. 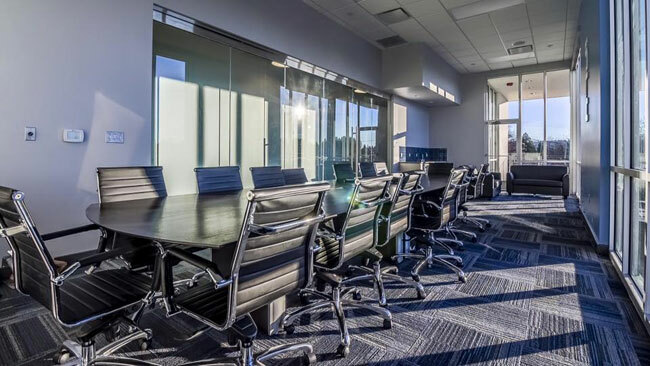 The staff and instructors were extremely professional. My family drove in from ~100 miles for our reserved flight. Some snafu caused our flights not to be recorded but the Manager (Sarah) were able to fit us in. We had 3 different instructors, all different and all excellent. We all enjoyed the experience. Thank you. I was a first time flyer, Travis was my instructor. He was patient with all of us and I know that I felt at ease. I was nervous just before I entered into the chamber but once in, words cannot express the joy I felt as I was flying. We fly twice, once low and then at about 25 seconds before the end of the second flight we flew high. Make sure that you add the high flight option. The experience was awesome!!!! As soon as the SW Portland site opens my husband and I will be there with our kids and grandson. The family that flies together stays together.